NYC Educator: Chicago--Now With 4% Fewer Teachers! Reformy Rahm Emanuel has made education a priority in Chicago. That's a pretty good idea, since Arne Duncan's Renaissance 2010 has proven an abject failure. 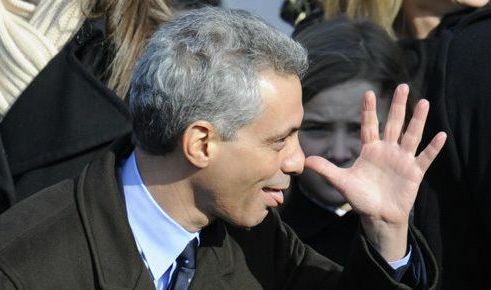 Now, were I mayor of Chicago, looking at all the reformy things that didn't work for Arne, I'd take a different approach. Regrettably, Rahm has decided to double up on reforminess. To that end, he's fired another 2000 school employees, 1000 of them teachers. This, of course, follows his vitally important program to extend the school day, which was followed by firing another few thousand school employees. So, the secret sauce, according to Rahm, is more time with less help. After all, once kids reach the ages of 5 or 6, it's time they fended for themselves a little more. And there's another good reason Rahm can do this--his kids don't actually attend public schools, so why the hell should he care what goes on in them? After all, he's already moved to close dozens of them, and so what if the kids are in huge classes in overcrowded schools? Who cares if schools, the hearts of communities, are closed? Rahm doesn't actually live in those communities anyway. Because Rahm is such a classy guy, he's distributed a script for principals to read when they fire teachers. When Xian Barrett (who I met in DC last year) got fired, his principal called his mom. After all, when you're in a hurry to fire people, who has time to waste looking up their phone numbers? And since you're reading some script rather than actually giving a sincere message, what's the dif anyway? But Rahm doesn't simply fire teachers. Instead, he's concurrently hiring a bunch of new, shiny TFA folks. After all, when you're as reformy as Rahm, five weeks of training is certainly better than decades of experience. Best of all, the TFA folks get a beginner's salary, and will likely not hang around long enough to get pensions. So what if they have no experience dealing with urban youth and are just passing through? So what if they're essentially scabs taking the food from the mouths of people who've dedicated their lives to Chicago's children? Bottom line for Reformy Rahm is money. And when it comes time to cutting funds, you'd better believe it's Children First, Always. Because that's the reformy way. And that's the Chicago way.